Public consultation on plans to close two primaries and ending junior secondary education at two schools was flawed, according to the government. Education Secretary Michael Russell has called in the proposals for the four sites on the Western Isles for investigation. Comhairle nan Eilean Siar has proposed shutting Carloway and Sheilibost primaries. The council also plans to end S1/S2 education at Lionel and Shawbost. Proposals to shut six other primaries and stopping junior secondary provision at another school have not been called in. 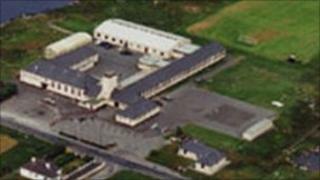 The comhairle said it was disappointed the government wanted to investigate four of its decisions. It added that it would now press ahead with shutting Balallan, Bragar, Cross, Sandwickhill, Scalpay, and Stoneybridge and winding up the junior secondary provision at Daliburgh. Mr Russell said closures must always be taken by those with the best knowledge of local circumstances. But he added: "My role is not to retake a democratically-taken decision but to ensure that a robust consultation process was properly followed and the educational benefits of these decisions are clear. "I believe that the council has not properly considered the alternatives to closure, the likely effect on the local community and the transport arrangements in its consultations on these school closures. "I therefore believe that the council's consultation was flawed." Comhairle leader Angus Campbell said the local authority believed its consultation process was rigorous and even-handed. Education and children's services chairwoman Morag Munro added: "Our aim in trying to implement our school estate strategy is to provide a sustainable education service into the future for all the children and young people of the Western Isles."